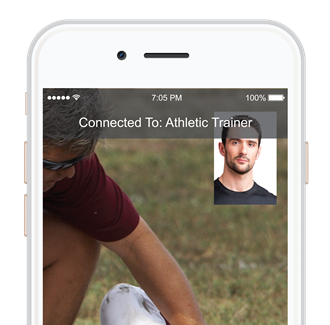 Healthy Roster is the best solution for Athletic Trainers available today! We've created a powerful mobile injury documentation and communication app that makes taking care of athletes simple and efficient. Healthy Roster can also integrate with your health system's main EHR, meaning your sports medicine data no longer has to remain on an island and disconnected from everyone else in the athlete's care circle. Use Healthy Roster to securely text/chat and live video chat with everyone involved in the athlete's care - coaches, parents, primary care teams, and even other AT's and orthopedic team members. Text back and forth with parents and coaches about specific injuries and return-to-play status. Securely upload images from your phone. Healthy Roster can be used to pass images of injuries between coaches and athletic trainers. Healthy Roster is the only injury documentation solution to provide you with seamless integration with your healthcare system's main EHR (Epic, Cerner, AllScripts, NEXTGEN, AthenaHealth, and many more). No longer does sports medicine data have to reside in paper format or on an island, outside of the systems your physicians and doctors use for patient information every day.